Google made a wise decision in the 3rd quarter of 2012 when it bought Wildfire. A leading social media app that is likely going to put the giant in the lead in this advertising arena, Wildfire had a number of interested parties looking to add the app to their arsenal. At the end of the day, of course it was going to be Google. With this app, businesses can easily manage all of their social media advertising needs via one platform. 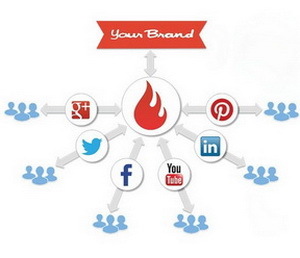 From Facebook to Twitter to YouTube, Wildfire really is a solid tool for internet marketing management. With it, Google expects to combine their current data management services to produce an unstoppable way for business owners to market their brands. According to Business to Community, Google is clearly demonstrating its “commitment to maintaining its lead as the best search engine and the best way to manage your data” (B2C). So what does this mean for social media management? While it is impossible to determine exactly what this acquisition will lead to, one this is for certain. Combined with Google Analytics, the app will give users a new way to measure their social media marketing campaigns. The growth of these websites in recent years is unheard of, so it seems Google has made a very wise investment when it paid $250 million for Wildfire. One major reason why Google made the purchase was due to the way in which websites are being rated for content accuracy. Many sites have social media bars on page, which allows users to simply like, tweet or +1 the content. With Wildfire, Google can take advantage of this new found change in site ratings. The app allows the search engine to plug itself into the overall user experience on a scale much larger than it previously could have. Let’s face it; Google and Facebook are far from friends. Many believe the Wildfire acquisition is the former’s way of surpassing the social media legend. Though it will likely be some time before this actually happens, all eyes are now on Google’s developments. Wildfire is just as popular as Facebook and will now allow its newfound owner to gain access to this realm. With Wildfire, Google has the ability to launch an entirely new platform, one that will allow website owners full access to a range of social media management services. As it currently stands, this acquisition has already placed Google in a league of its own. Lastly, if the search engine did decide to make itself the one-stop shop for these services, it could easily drive the existing competition out of business altogether. Steve is an avid blogger for TechWyse Internet Marketing alongside his main role as the Social Media Manager. You can follow @TechWyse on Twitter for more Internet marketing trends and news.